Annadale Commons - MVE, Inc. MVE, Inc.
Self-Help Enterprises is a nationally recognized community development organization whose mission is to work together with low-income families to build and sustain healthy homes and communities. Since 1965, Self-Help Enterprises’ efforts have touched the lives of over 55,000 families. 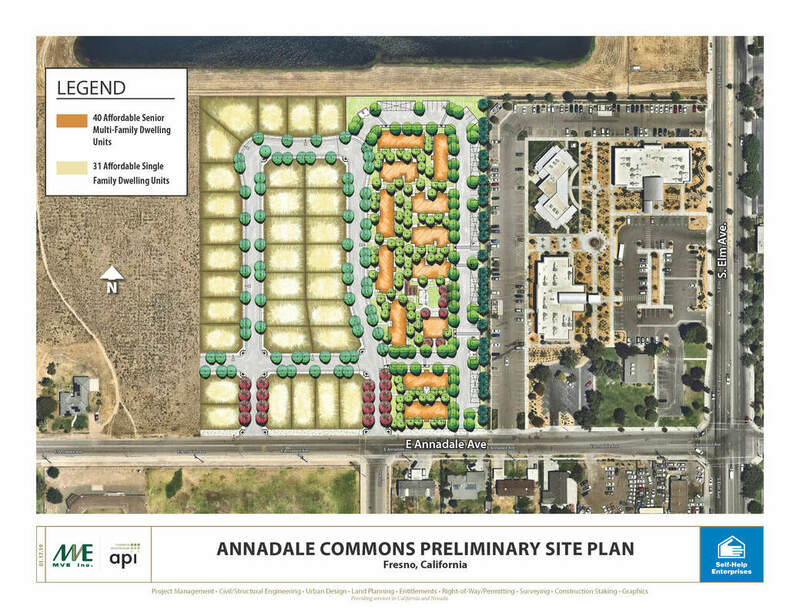 MVE is proud to be working with Self-Help Enterprises on a residential community in Fresno, CA called Annadale Commons. The project proposes to construct 40 affordable senior multi-family residential dwelling units and 31 affordable single family dwellings. Construction to begin March 18th, 2019.